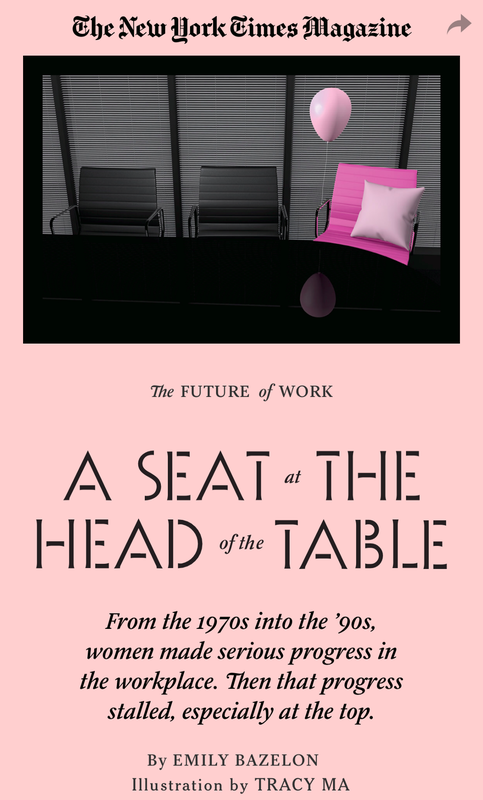 Take The Lead » The Pink Chair in the Grey Office — Why on Earth This Graphic? The Pink Chair in the Grey Office — Why on Earth This Graphic? Over 50 years ago, the late Congresswoman and presidential candidate Shirley Chisholm famously said, “If they won’t give you a seat at the table, bring a folding chair.” This week, a hot pink chair with a pale pink pillow and for some inexplicable reason a pink balloon was the graphic the New York Times Magazine chose to represent the lack of women in top leadership in an article by Emily Bazelon. Why Aren't Women Advancing More in Corporate America? Entitled “A Seat at the Head of the Table,” the framing of the piece is exactly the kind of bad news narrative retread about women’s leadership that I excoriated here last week: Women are stalled. Caught in a double bind reinforced by corporate cultures that continue to privilege white men. Let’s wring our hands in unison and moan about how we have stalled on the road to leadership parity. The baked in recalcitrance of the existing power structure — aptly described by Council of Women World Leaders Secretary General Laura Liswood as “a thick layer of men” — is real and should not be a surprise to anyone. But I contend that it’s both worse and better for women than the article concludes. It’s worse precisely because women are making so many advances. Because we are raising our voices to say #metoo. Because the assets we bring to the business case for gender parity are becoming impossible to ignore. So we are entering a period of inevitable backlash, of resistance to change. Achieving true gender equality and leadership parity challenges our most deeply rooted social norms. It is the most fundamental, profound, significant change in power balance in recorded history. Not because it’s more important than other social justice movements, but because it’s the most universal in that it affects every single human being. Culture loves stasis and can get really mean in reaction when its tectonic plates begin to shift. What’s the hardest barrier to overcome? Women’s culturally learned ambivalence about power. 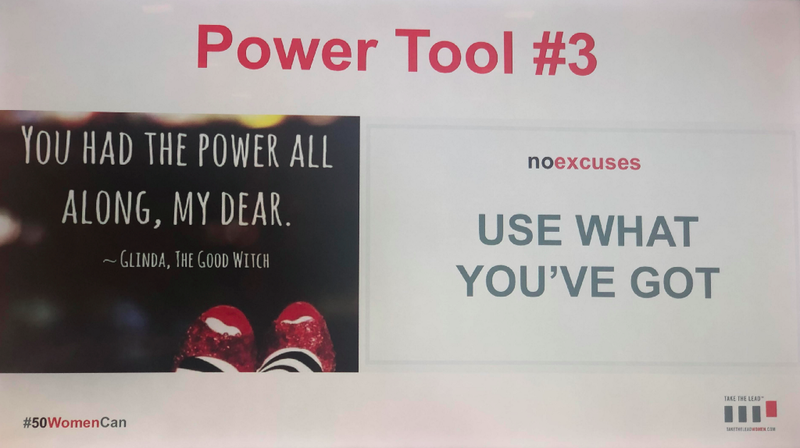 As I explored extensively in my book, No Excuses: 9 Ways Women Can Change How We Think About Power: women and men have been socialized in the same culture. So women often harbor the same implicit biases as men on the one hand — that’s why both genders are most likely to describe a man when asked to conjure up a leader. At the same time, women devalue themselves and lower their intentions when the negative consequences of that bias play tricks on our self-perceptions. 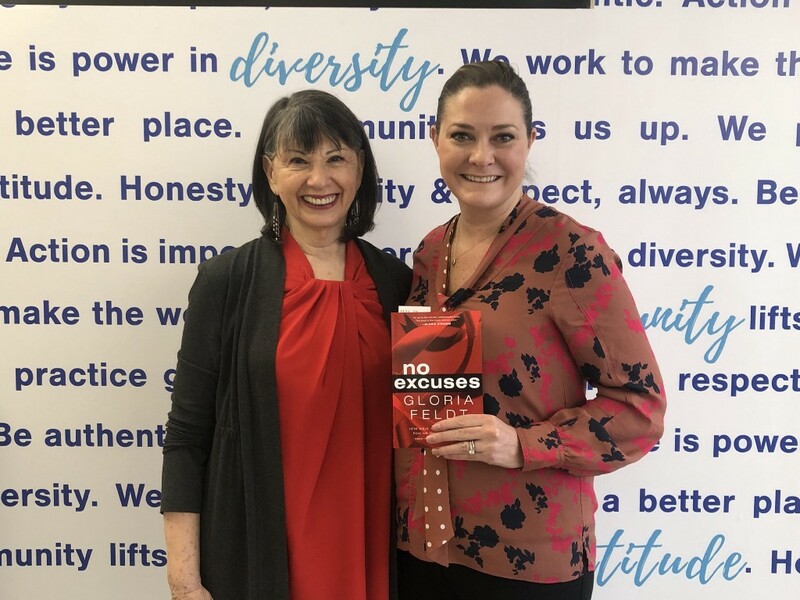 With @KristyWallace @EllevateNtwrk — they have No Excuses. Study after study has demonstrated the implicit bias that creates the double bind and the resulting perfectly logical risk aversion behaviors. That’s all true and real. But it’s also exactly why I focus in our leadership training programs on how to free ourselves from the double bind in our heads. The biggest damage is never from the external challenges we face. Those only make us stronger. No, the biggest barrier is the “enemy in our heads” as author Sally Kempton described our culturally learned self-limiting beliefs. Getting those old ideas out of our own heads is harder than getting in new ideas about how much ability and possibility we actually have. Second, when we repeatedly hear that same old narrative about the double bind without the redemptive emphasis on solutions and success stories, we understandably step back. It’s flat out depressing. It creates a vicious self-reinforcing cycle of oppression and self-limitation. In women, the experience of implicit bias creates the double bind that in turn creates that ambivalent relationship with power. Yet the truth is that women have more than enough of what it takes to change the system and achieve individual success. The power is in our hands if we have the wisdom to see it and the courage to use it. · Companies with more women in their leadership make more money. · Women are prepared, earning 57% of bachelors degrees. · Women have the power of the purse, making over 80% of consumer purchases. · Women have the power of timing. Whatever the backlash, the #metoo movement is disrupting ingrained cultural norms and opening the way for equalizing treatment of women and men. · And let’s not forget that women have the power of simple justice. Let’s face it: no one attributes more power to you than you attribute to yourself. When women embrace the awesome power we have and use it Intentionally to make systemic change, the world will become a healthier and more prosperous place for all of us. The vision is key to making change. Finally, while social research is endlessly interesting, to make fundamental systemic change, we must first envision the world as it can be and set that vision as our intention. The pink chair piece recycled what we know. To its credit, the latter third of the article did suggest some useful research-based solutions that have been shown to reduce implicit bias and its effects. But as the researchers themselves acknowledged, those are small changes that make progress but don’t really rock the system boat. It’s time for bigger thinking. And then bigger than that. To accelerate leadership gender parity, we must project a vision of the future where women take their fair and equal share of leadership positions and actualize them by embracing the power to achieve intentionally courageous solutions. If you want to join a cohort of women ready to change the world, find your sector here and let’s make it happen. Feel free to bring your chair, pink or otherwise, with you. We’ll be building a completely new table. GLORIA FELDT is the Cofounder and President of Take The Lead, a motivational speaker and expert women’s leadership developer for companies that want to build gender balance, and a bestselling author of four books, most recently No Excuses: 9 Ways Women Can Change How We Think About Power. Former President of Planned Parenthood Federation of America, she teaches “Women, Power, and Leadership” at Arizona State University and is a frequent media commentator. 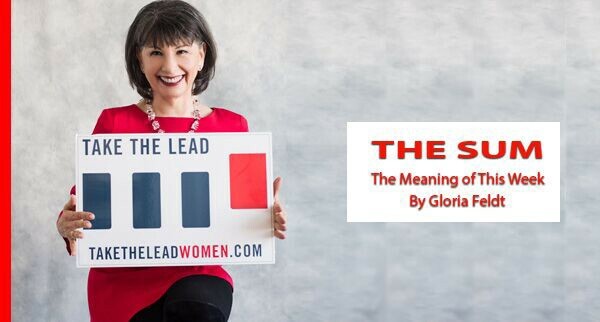 Learn more at www.gloriafeldt.com and www.taketheleadwomen.com. Tweet @GloriaFeldt.